In an attempt to evade arrest, the 55-year-old suspect rammed the police vehicle but he was arrested a short distance away. 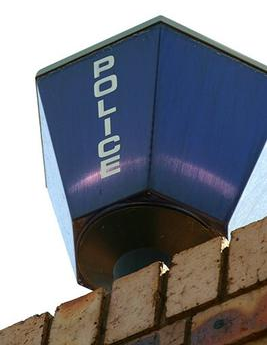 Police in the Free State had to rush an alleged drug dealer to hospital after he swallowed mandrax tablets while fleeing and trying to get rid of the tablets, said the Directorate for Priority Crime Investigation, known as the Hawks, on Monday. Spokesperson Brigadier Hangwani Mulaudzi said investigators were on Friday probing a drug-dealing case and followed up on information about a drug delivery in Virginia. A vehicle was spotted and upon realising that the police were on his tail, the driver sped away. “In an attempt to evade arrest, the 55-year-old suspect rammed the police vehicle but he was arrested a short distance away. During the pursuit, he threw away a large number of suspected mandrax into a stormwater drain,” said Mulaudzi. The man will appear in the Welkom Magistrate Court on Monday on charges of dealing in drugs and reckless driving. In another separate case, the same investigators arrested two men aged 25 and 43 for allegedly dealing in drugs. Mulaudzi said the two were arrested on Friday during a search and seizure at two houses in Bronville and Welkom.